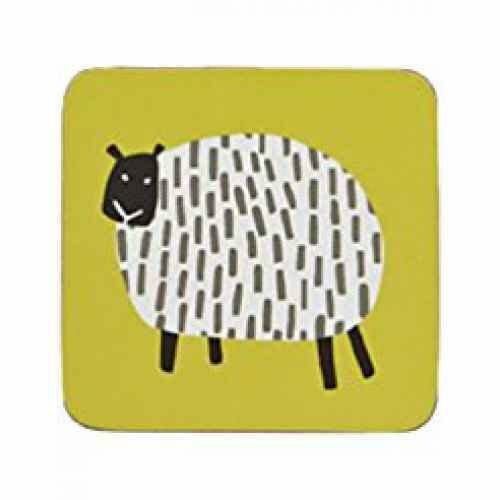 A pack of 4 Coasters depicting fun sheep illustrations on a colourful mustard background. Protects your table from heat or food spills. Co-ordinates with the Dotty Sheep pack of 4 Placemats and kitchen textiles. Simply wipe with a damp cloth to keep clean.